Most large organizations have a lot of data and very little useful information. The reason being, every time they encounter a problem, they build (or more often buy) another computer application system. Each application has its own completely arbitrary data model designed for the task at hand, at that time, and which used whatever simplification seemed appropriate in that instance. The net result, depending on the size of the organization, is hundreds or thousands of applications— occasionally, tens of thousands—each with its own data model. Each data model has hundreds to thousands of tables, occasionally, tens of thousands (the average SAP install has 95,000 tables), and each table has dozens of columns. 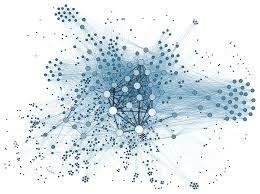 The net result is trying to run your company using upwards of millions of distinct data types. For all practical terms, this is impossible. Most companies spend most of their (very high) IT budget on maintaining these systems (as they are very complex) or attempting to integrate them (and doing a very partial job of it). This seems pretty bleak and makes it hard to see a way out. What will drop the scales from your eyes is when you see a model that covers all the concepts you use to run your business that has just a few hundred concepts—a few hundred concepts—with a web of relationships between them. Typically, this core is then augmented by thousands of “taxonomic” distinctions; however, these thousands of distinctions can be organized and put into their place for much better management and understanding. Once you have this core model (or ontology, as we call it, just to be fancy), everything becomes simpler: integration, because you map the complex systems to the sample and not to each other, and application development, because you build on a smaller footprint. And it now becomes possible to incorporate types of data previously thought un-integrate-able, such as unstructured, semi-structured, and/or social media data. Semantic Arts has built these types of models for over a dozen very large firms, in almost as many industries, and helped to leverage them for their future information systems. We now can do this in a very predictable and short period of time. We’d be happy to discuss the possibilities with you. Feel free to send us a note at info@semanticarts.com. Named Property Inverses: Yay or Nay?